Pet insurance claims data points to bite wounds in May, GI disease in November. Pet parents often wonder if the time of year plays into their pet’s health problems. According to Petplan, it might. 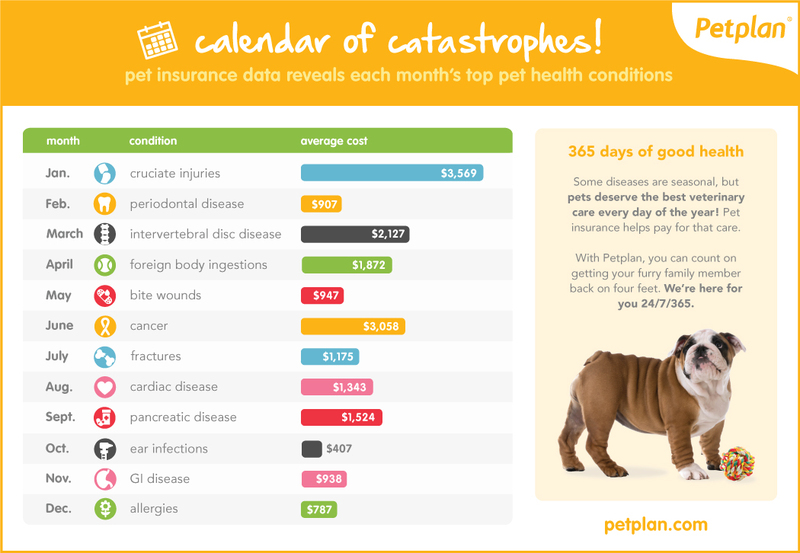 The pet insurance provider pawed through 2016 claims data to find which conditions cost pet parents the most per month. Petplan found that treatments for periodontal disease peaked in February, perhaps due to an increase in screenings thanks to the success of National Pet Dental Health Month awareness campaigns. The data also revealed that vet offices saw a surge of bite wound cases in May, possibly because of temperate weather drawing more pets and their people to dog parks.